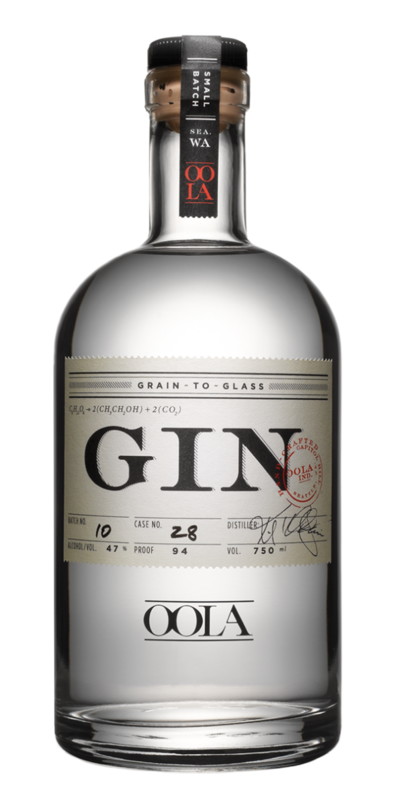 Our 94 proof gin is distilled from Washington organic soft white winter wheat and infused with 13 different botanicals resulting in a floral and spicy gin with a rich mouthfeel. Cascading aromatics of citrus and rose petal on the nose bloom into the subtle scent of juniper berry. Silky and light bodied on the palate, our Gin's velvet mouthfeel is a lush backdrop for lively coriander and smoky black cardamom. The base spirit of Oola vodka leaves a long, finely-textured finish with notes of caramel and vanilla. Oola gin took home a triple gold (product, price, package) in The 2011 Micro-Liquor Spirit Awards and a Bronze in the 2012 New York World Wine and Spirits Competition. Oola Distillery and its products have been featured in Sunset Magazine, Food & Wine, Daily Candy, Seattle Magazine, Luxe Magazine, Cigar & Spirits, Wine Enthusiast, Seattle Met, The Seattle Times, Seattle Weekly, and the Stranger. Oola Gin will be in GQ this September. Our products are also used as staging items at stores like West Elm and Roche Bobois.